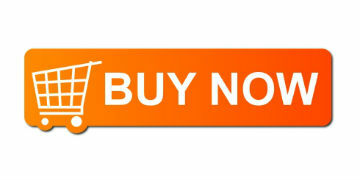 Stop smoking hypnosis, in my experience, is the best best way to quit smoking. Even if you use other quit smoking aids, the techniques I want to share with you today can make the process easier AND can help you quit smoking for free. That is right -- free. To be perfectly accurate with language, one might say it is a self hypnosis smoking technique as it is a process you can do on your own -- without a hypnotherapist and therefore you can quit smoking for free. Do you know someone with a really challenging habit? A chronic nail biter, maybe? Someone who relentlessly taps their foot when nervous? A person who eats a lot when stressed? A major procrastinator? Now, you might have read those questions and thought, "Just a minute...chronic nail biting and being a procrastinator cannot fall into the same category...can they?" The reality is that each of the habits identified above are just that - habits. A habit, by most formal definitions is simply a pattern of behavior that someone has created through months or years of repetition. It is the sort of "auto pilot" response to specific triggers that make someone hesitate to do work they know is due, bite their nails because they are stressed, or light up a cigarette because they just finished a meal. This tells us that smoking is a habit (which you probably already realized), but it is also a pattern of behavior, and, as such, it can be overcome through the use of self hypnosis. You can break bad habits and, replace them with new automatic behaviors that better serve you by using self-hypnosis techniques to retrain your brain to respond differently to triggers that set off the unhealthy habit. So for example, if you are in search of stop smoking hypnosis, your triggers for smoking may include your first cup of coffee in the morning, a certain time of the day when you have a smoke break, or a feeling of nervousness or upset. 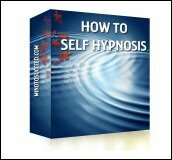 Through hypnosis or self hypnosis smoking techniques, you can "anchor" a different responses to those events (or triggers) so that your reactive impulse switches from a desire for a cigarette to something else. Anyone considering smoking cessation using self-hypnosis has already won "half the battle." That is because one of the keys to success in self-hypnosis is motivation. And there is a huge clue about the ways that self-hypnosis works. Your willingness becomes a subconscious directive. When we quiet our noisy, busy brains, we can create changes in our habits and reactions. It is a very gentle and enjoyable one, but it has to be practiced daily for you to get noticeable results. Self hypnosis to quit smoking begins with you mastering the ability to achieve a state of calm relaxation. Now how bad can that be? You can do this through focused breathing, progressive relaxation or meditation. Once you have gotten good at relaxing your body and mind, you can create changes in your habits with self hypnosis. 2. Take the time to identify what cues or triggers lead you into that behavior. Is it that you always have a cigarette with your coffee or after a meal? Do you always have a cigarette when you get home or when you take a lunch break? Maybe you light up whenever you are socializing? Perhaps, your smoking habit is a stress response? Whatever the cues, you must identify them. Write them down. 3. You can then use the power of mind and imagination to visualize yourself changing your response to those cues. Simply imagine a scenario in which that normal activity occurs - such as stepping out to smoke at your coffee break. Now, replace that with a better image, one that includes a reward such as your being unworried about your breath or the smell of the cigarette or the way you would use that fifteen minutes more productively, and so on. 5. You can also use the Code Word Positive Change Hypnosis Technique, in combination with these methods. 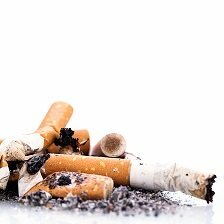 These stop smoking hypnosis techniques do work, and thousands of people have found success with this sort of relaxation and positive reinforcement. If you are tired of smoking, consider this option for quitting today.